Takeaway: Planting seeds ends in either the thrill of that first tiny green shoot or the disappointment of a failed germination. Here’s a few tips on how to make sure your plantings end in smiles, not tears. Seeds are amazingly compact packages of stored genetic material that are conveniently portable, readily available, and, given the right conditions, an easy method of establishing a new hydroponic crop. However, a rapid and healthy germination process is vital to their success. 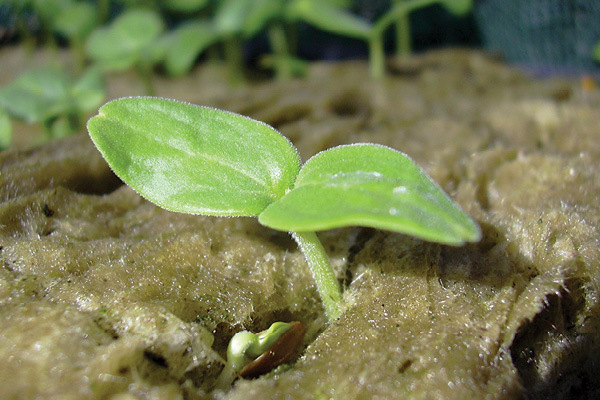 While indoor gardeners have the advantage of a carefully controlled environment—which vastly assists germination compared to the fluctuating environments and predators in outdoor fields—the germination process is still reliant on a few essential conditions, as it’s a sensitive stage of development that can be prone to problems. A seed consists of an outer protective cover surrounding an embryo and its stored food supply. For a seed to germinate, it must meet three basic requirements: the embryo must be alive and viable, the seed must not be dormant, and the environmental conditions of moisture, oxygen, and the correct temperature must be present to trigger the process. Most of the seeds we buy for common hydroponic crops do not have any biologically imposed dormancy; however, seed viability is an often-overlooked issue that can account for unexpected germination failures. It’s not possible to visibly determine if a stored seed is viable and able to germinate; a live seed looks very much like a dead one and both will imbibe water when sown. A seed lot that has lost some viability due to age or poor storage conditions may be slow and uneven to germinate, and the resulting seedlings may lack vigor and be deformed or prone to pathogen attack. For this reason, only investing your time and effort into fully viable seeds prevents the disappointment of germination failures. How well a seed lot germinates depends on the qualities of the seeds at harvest and how they were stored, both before and after sale to the grower. Seeds are living and respiring tissue, and those that remain viable the longest tend to have the largest nutrient store and low moisture content. The water content of most ripe seeds is around five to 20 per cent of fresh weight, compared to 80-85 per cent for most live plant tissue. Drier seeds remain viable for longer than those with more moisture. Seed storage conditions—in particular, lower temperatures, slow respiration, and low humidity—aim to slow the rate of respiration and therefore increase shelf life of viable seed. Since seed respiration uses oxygen, decreasing the oxygen supply also increases seed longevity. At the same time as slowing the rate of respiration, the embryo must be protected from conditions that may cause injury and reduce viability of the seed. Seed producers and seed companies tend to store each species under the correct conditions and in suitable packaging—often made of moisture-proof material—marked with seed lot testing information. Seeds obtained from reputable suppliers will also have an expiry date printed on the packaging. These seeds should remain viable until the expiry date or even for some time after if the seed packet remains sealed. However, growers are often unsure how to best store open packets of seed. Seed hoarding, which is the inability to throw out expired seeds contained in open packets, is fairly common among gardeners and a frequent cause of germination issues or the production of overly weak seedlings. Opened seed packets, which have been exposed to moisture in the air, can be resealed or placed into a plastic container with desiccant. Also, both sealed and opened seed packets are best stored at temperatures of less than 50˚F, so for most vegetable and other common seeds, refrigeration is a good option. Storage of seeds in warm conditions hastens respiration and speeds up the depletion of the nutrient stores within the seed tissue. Ability of seed to maintain a high level of viability during storage is also somewhat species dependant. Tomato seeds stored for years are often capable of geminating with few problems, whereas pelleted lettuce seeds may only remain viable for a few months after the package has been opened. For those species that have a limited shelf life, growers should only purchase the amount of seed required for immediate sowing, even if it means only buying in small quantities each season. Of course, sometimes you miscalculate the amount of seed to buy. Considering that some hybrid seeds used for hydroponics can be expensive, throwing out expired packets can be somewhat challenging for thrifty growers. Fortunately, it is possible to test the viability of a seed lot to determine if it is worth investing the time and effort into sowing. Viability testing is carried out by placing a small sample of seeds on moist paper towels inside a plastic bag. These are then placed into a warm environment at the correct temperature for germination of the species being tested. The seeds are checked daily and those that germinate—that is, the radicle (young root) emerges from the seed coat—are counted. 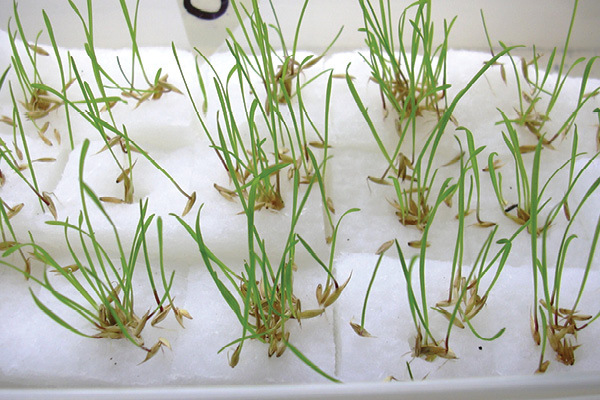 The test is complete when no further seeds germinate for three consecutive days; at this stage, the non-germinated seeds can be considered non-viable. Then, the percentage of seed that germinated can then be calculated—the higher the percentage, the more viable the seed lot—and a decision can be made on whether it is worth sowing the rest of the seed. Assuming a seed is fully viable, germination issues can arise due to problems with the environment. Incorrect temperature is one reason. Each species has its own ideal temperature for germination. 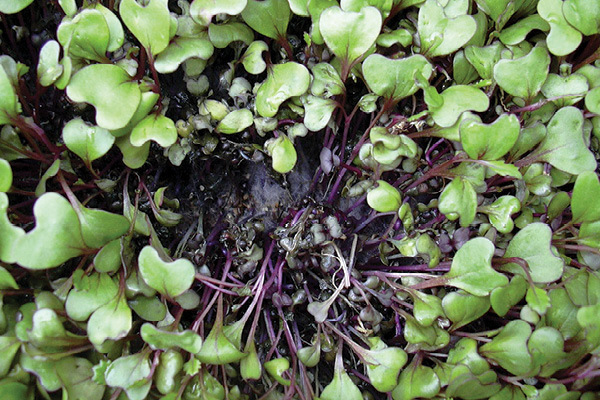 Some species, such as lettuce, prefer cooler germination temperatures and can fail to germinate if it is too warm (seed may enter a secondary dormancy if this occurs). Others such as tomato, cucumber, and capsicum require much warmer conditions. Another common problem is overwatering, which eliminates vital oxygen, as many inexperienced growers tend to overestimate how much moisture is required for germination. A good seed-raising substrate should be able to retain sufficient moisture while being free-draining so that plenty of oxygen is present. Many seeds benefit from not being watered while germinating, so a light plastic or paper covering to retain moisture is usually beneficial. Above: Damping off caused by disease pathogens is much more common under saturated conditions. Another often overlooked factor to consider when starting from seed is water quality. Many seeds and young seedlings are more sensitive to poor water quality, water treatment chemicals such as chlorine or chloramines, hard water, high pH, and other factors than hardier older, more mature plants. Damage can easily occur, so serious propagators may want to consider investing in a small reverse osmosis unit to provide mineral-free water. Small growers can use bottled or carbon-filtered water for the early stages of germination, while those using rain, dam, or well water would be best advised to boil or sterilize their water to eliminate the potential for soil-borne pathogens that can cause root rot and seedling disease. Damping off is a term used to describe the death of small seedlings from attacks by certain fungi, primarily Pythium ultimum and Rhizoctonia solani, although other fungi, such as Botrytis and Phytophthora species, may also be involved. Insects such as fungus gnats can transmit Pythium and these other pathogens. Conditions usually associated with damping off include contaminated water or media, overwatering, poor drainage, and a lack of ventilation. To reduce the risk of attack, keep propagation areas clean, hygienic, and free of old plant debris that may be harboring spores with regular cleaning of all surfaces, trays, and equipment. Other potential sources of pathogen spores are some organic growing mediums, such as composts and peat, and untreated water supplies. So, starting with a pathogen-free substrate and a clean, high-quality water supply can help prevent many of the problems associated with pathogens. Also, seeds that have low viability produce weak seedlings, which are far more prone to attack by opportunist pathogens. In fact, any factor that weakens the plants or slows the germination process also predisposes the germinating seed to Pythium. This includes low or high temperatures, lack of air movement, and excessive humidity as well as over saturation of the growing substrate. High salinity or salt buildup around the developing seedling can also stress young plants and promote disease occurrence, so it’s best to use low-mineral water supplies during the germination process. A low EC nutrient solution should only be applied once the first seedling leaves have expanded and the plant is able to take up minerals in the developing root zone. Seed treatments are a technology worth taking advantage of both to increase the speed of germination and help prevent issues such as seed rot. Many small and difficult to handle seeds such as lettuce can be purchased in pelleted form. This “thermo pelleting” assists the seed to germinate in a wider range of temperature conditions. Some seeds may be coated in fungicides to help control pre- and post-germination rot pathogens. Other seeds may be “primed” to promote rapid germination and most are viability tested before sale. For soilless growers, the use of specialized propagation materials is a worthwhile investment. Most hydroponic gardeners raise seedlings in specially designed propagation mediums. These can be made of synthetic or organic materials, such as sterile foams, rock wool, coconut fiber, composts, and more. Seeds play a vital role in plant production, allowing growers to reproduce the best genetics for uniform crop growth, high yields, and other desirable characteristics. Seeds also allow plant varieties to be easily packaged and transported around the globe or to be stored for future use. These days, even small growers have access to high-quality, viable seeds for a wide range of cultivars. Germination is a fairly straightforward process, but paying attention to moisture, oxygen, temperature, and seed viability, as well as maintaining a clean and well-designed propagation area all help ensure reliable results with every crop. 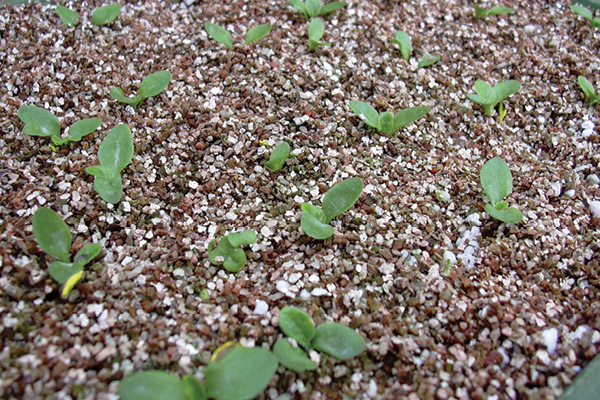 Vermiculite is a clean, sterile medium for covering seeds after sowing. A wide variety of different propagation materials are available to hydroponic growers sowing seed. 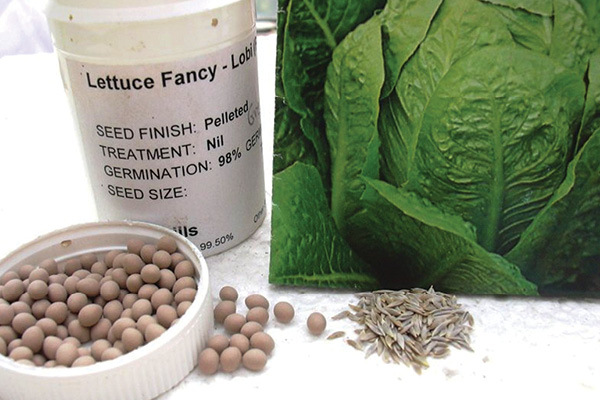 Pelleted lettuce seed makes precision sowing by hand much easier and quicker. Damping off caused by disease pathogens is much more common under saturated conditions. Stone wool is commonly used for propagation from seed under commercial hydroponic production and by smaller growers as well. 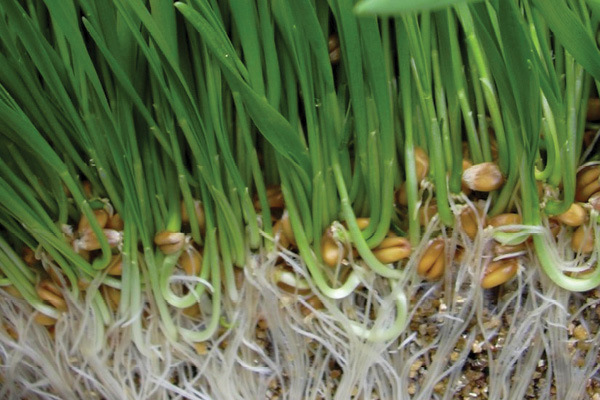 High levels of aeration are required in seed germination substrates for healthy root development. Seed treatments and coatings make handling easier.